Verywestham: Greedy Pelle and Ghastly Chelsea! Greedy Pelle and Ghastly Chelsea! Before Sunday’s game you would have gratefully settled for a point but after creating three gilt-edged chances and putting in a rock solid defensive showing, you can’t blame Pellegrini for getting greedy with lamenting two points lost. Chelsea, meanwhile, were left with a reminder that they lack the striker that they’ll be needing if they have true Premiership title aspirations. And that canary yellow kit was absolutely Ghastly!!! 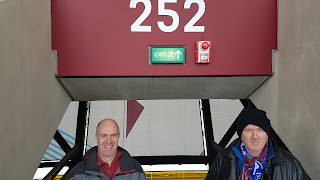 Here's our player ratings in what was another great performance where we got a result against high-flying Chelsea by playing football rather than Allardycing the bus! We can compete with the best by going toe to toe and could easily of taken all three points. Man U next - bring them on. Let's get the stadium rocking next week!!! Another absolutely superb performance. I’ll admit that I wondered if we could really upgrade from Adrian, but Fabianski has been consistently outstanding and the late save as we stumbled home in injury time summed up his day. He can rightly feel miffed to miss out on the man of the match award as it would have been well deserved. Arthur is a classic Hammers player – stylish, skillful, good going forward and cheeky! However, his defending can sometimes by ‘clunky’ and his natural tendency towards offence means that he can get caught out of position. That said, he is enjoying playing alongside Filipe Anderson who has been surprisingly willing to track back and defend. 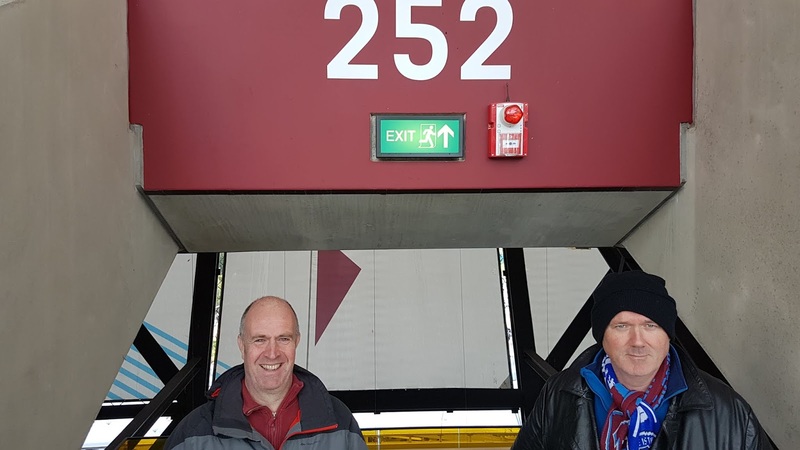 The one period where we looked in trouble on Saturday was in the final 15 minutes when the Masuaku-Snodgras combination struggled when Eden Hazard switched to the right wing. For some games you wonder if Aaron Cresswell at full back and Masuaku on the left side of midfield might be the best set up. After a shaky start, he is developing a good understanding with Balbuena where their strength and ball skills are allowing us to play the ball about a bit more than a Reid-Ogbonna pairing would allow. Diop was our best player versus Wolves and excellent against Everton. He looked completely at ease against high-flying Chelsea. A fantastic signing and looks set to keep getting better. As above – Balbuena is particularly calm in possession. He made an excellent early challenge on Hazard that set a pattern for the game. One wonders how Winston Reid will manage to fit back into the set up when he returns! Nice piece in the match programme highlighting how Fabien has taken over the mantle as principal Punk Rocker in the dressing room (previously held by Stuart Pearce)! I really worried about Pablo getting exposed by Chelsea’s skillful and pacey left side but he used all of his experience to good effect and was not shy getting forward. Amused the whole stadium with his fresh air kick after getting into an excellent attacking position! Now working better with Andriy Yarmolenko who is more willing to help out in defence. Man of the Match. He is so like Billy Bonds! It’s hard to believe that he’s only 19 as he seems to know where to be so often. Moves the ball quickly and to effect. You’d guess that he will eventually move to centre back, but as a defensive midfielder he looks the real deal already. He has snuffed out Gyllfi Siggurdsson and Eden Hazard in consecutive games! Tremendous energy and was kept busy chasing a fluid Chelsea midfield all day. Hard to think that we almost let him go in the Summer as he is one of those quietly effective players that keeps things ticking over. Aren’t you glad that we kept him rather than Cheik Kouyate – Obiang’s link up play is more precise which allows him to slip nicely into the Pellegrini system. The biggest cheer of the day was for our departing captain with 5 minutes to go. There are those who feel that he is no longer up to it at this level but the end of last year and the past few games indicate that Captain Claret still has plenty to offer on the pitch and in a starting role. That said, evidence to date suggests that it is unwise to play both Noble and Wilshere in the same midfield as the lack of pace is a real problem. Many fans believe that he will be our best signing of the Summer! He had a great game that unfortunately will be remembered by many for his missed header with a quarter of an hour to go. That aside, he is giving better support defensively and has real pace and a cutting edge moving forward. Andriy has been voted Ukrainian player of the year for 4 of the past 5 seasons. Lots more to come! The early morning Shannon crew (Rod, Sean and I) were totally divided about the merits of Mr Anderson. He has tremendous skill and (I think0 has been impressive in tracking back and supporting Arthur Masuaku. Others, however, feel he has yet to prove his worth. Nice work in setting up Antonio’s first chance but struggled in a game where we only had 28% possession. Of note, our defence opened up on the left side soon after he departed (but then again Hazard switched wing at that point too!). He really is not a lone striker. Two great chances missed in the first half. Arnautovic’s intense physicality and excellent first touch have highlighted Michail’s deficiencies. That said, he is a great impact player and brings determination and physicality, albeit a little clumsy at times. He really needs a goal to get him rocking again. Player Ratings vs Man Utd: guess who gets MOTM? Here Comes the Barry McGuigan! Why West Ham will win against Chelsea tomorrow! Hammers Dispel the Bogey Boys - but who was MOTM?